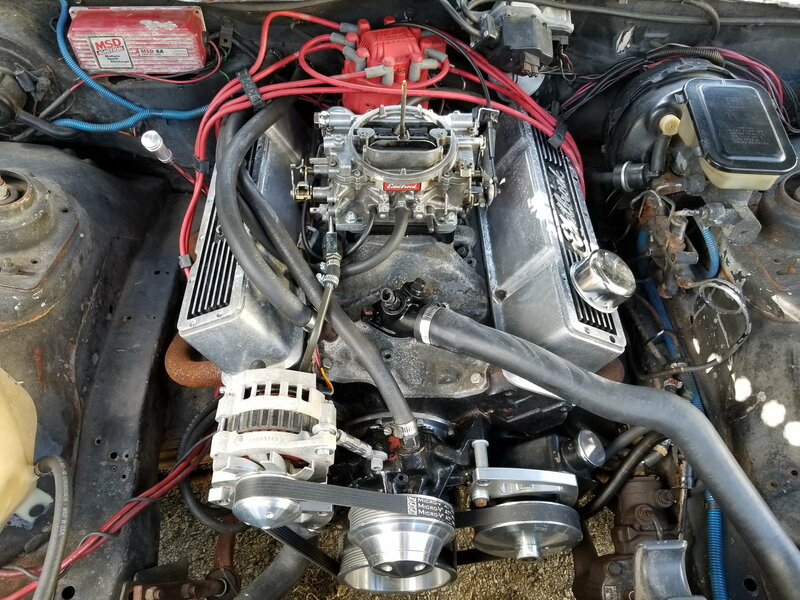 Edelbrock Performer 2101 intake with 1403 carb, what spacer? Ok, I'm running the Edelbrock Performer 2101 intake with a 1403 carb on my 305. I'm using a 1" spacer to fit the carb under my scoop. I was told that I should be using an open spacer and gaskets, not the 4-hole style as it might not be sealing right. The intake says "Square/Spread Bore Flange", so I thought it didn't matter what I used. What should I be using? Does it matter? Last edited by aaron7; 01-01-2019 at 07:23 AM. Re: Edelbrock Performer 2101 intake with 1403 carb, what spacer? Doesn't particularly matter, as long as it fits. That's not the sort of combo where you get the last 1.68 HP and .0032 seconds out of the optimum one. And get rid of that piece of rubber line, before it burns your car to the ground. That's a death trap. The 4 hole will serve you better in your application. Got a part number for yours? If the spacer's holes match the carb on the carb side, and also match the intake on the intake side, you're good to go. No no, asking for sealing reasons; not power. Read again. See, now I figured this was the case with it being OK sealing up, but since the intake has the spreadbore opening (even though it's touted as being both spread & square), the squarebore spacers (open or 4-hole) weren't sealing right. Then someone on one of the FB groups finally had the answer, not sure why this is such an unknown part! Last edited by aaron7; 01-04-2019 at 07:27 AM. 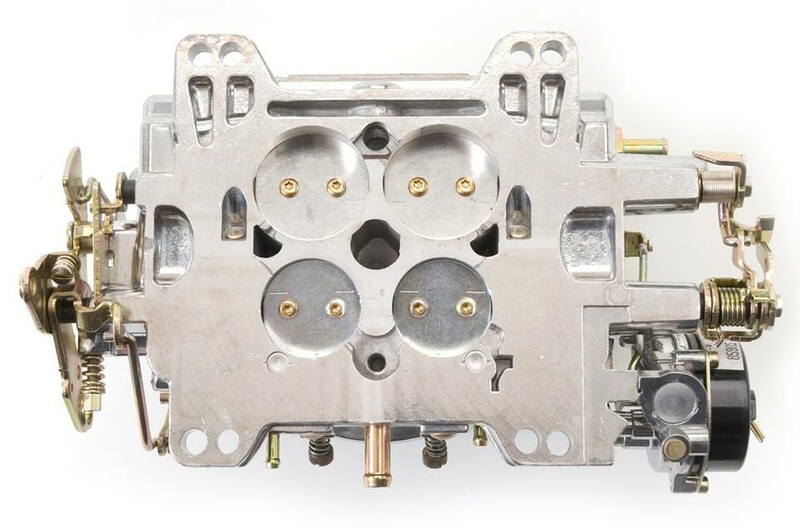 Doesn't the Edelbrock carb have different size primaries and secondaries? For that reason, I would run an open spacer. Holleys have the same size bores front and rear. Looks like the secondaries are slightly larger. Once I get the carb back from the rebuild I'll line the spacer up under it and see if the holes line up with the bores! It will match the base of your carburetor. However, you will have to check where the secondaries bulge out on the intake manifold to make sure the spacer covers. You will have a vacuum leak there if it doesn't, and don't rely on the gasket to try to seal the gap. Edelbrock Performer 2101 Intake Manifold?? Quick Reply: Edelbrock Performer 2101 intake with 1403 carb, what spacer?